Drug Treatment Programs in Florida: What Are Your Options? Substance abuse and addiction can have a heavy toll on both the addict and those around them. It can cause a person to do things that they never normally would, such as become involved with criminal activity and neglecting important responsibilities. Even though addiction can be devastating to a person’s life, it does not dissuade substance abuse. Based on treatment statistics by NIDA, only 2.6 million people out of the 23.5 million that needed rehab in 2009 got treatment. This is largely due to the addict’s drug-seeking behavior causing them to avoid treatment. However, drug treatment programs are often the only choice a person has if they want to get well again. In this article, we will look at the addiction treatment options that are available to those seeking drug treatment programs. An important part of substance abuse treatment models is relapse prevention. The goal is prepare the person for trigger situations that will arise in their future so that they can deal with it effectively. Isolate negative behavior and replace it with healthy alternatives. Help to improve the person’s self-confidence and self-esteem. Identify the issues that initially led to the substance abuse in order to deal with the trauma, stress or situations that caused the abuse. Treating both the physical and mental health of the patient. Help to repair affected relationships. Help the person to find new meaning in their life. Family therapy – Addiction puts a strain on the family. Relationships often need to be mended in order to move forward on the right foot. Cognitive-behavioral therapy – Also known as CBT, it is conducted in a one-on-one format where negative behaviors and thoughts are identified in order to give the individual new ways of behaving and thinking. Pharmacotherapy – This is the use of medications such as methadone to help the patient manage their sobriety. It is highly effective when combined with other treatment methods. An individual in rehab may take part in more than one of these treatment models in order to achieve the best success. Yoga and meditation – Yoga and meditation have been proven to reduce stress, increase mindfulness and have a positive effect on a person’s mood – elements that are required for recovery. 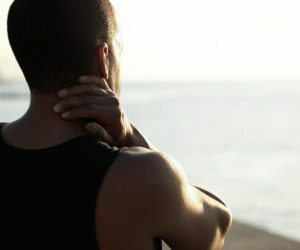 Biofeedback – Biofeedback can help people to relearn aspects of their body’s response to stress. It helps to reduce the feelings of stress. Art and music therapy – Music and art therapy can be an excellent way to express feelings that can’t be put into words, to tell your story and to relieve stress by being an outlet. Nutritional therapy – Carefully balanced diets can help people to feel healthier mentally, reducing stress and increasing energy. The addiction treatment methods mentioned in this article can be carried out in an inpatient or outpatient setting. Inpatient provides the best support while outpatient gives a person freedom to attend to things in their life.